Pac-Man joins all-star cast of Nintendo's Super Smash Bros.
Pac-Man joins all-star cast of Nintendo’s Super Smash Bros. 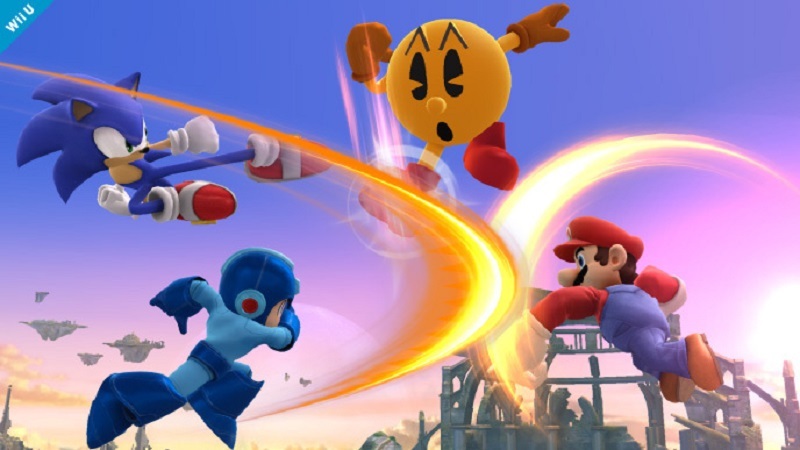 The iconic video game character Pac-Man will be playable in Nintendo’s upcoming Super Smash Bros. game. Nintendo’s Super Smash Bros. will be out this year for both the Wii U and the Nintendo 3DS. Besides being able to play as Namco Bandai’s Pac-Man, players will also be able to play as many other iconic characters. Some of those will include Mario, Sonic the Hedgehog, Mega Man, and other famous Nintendo characters. The upcoming Super Smash Bros. game was recently previewed at the E3 conference in LA, one of the biggest yearly gaming events in the world. The brawler game will feature over 30 playable characters, each with his or her own unique combat moves and abilities. Nintendo also noted that players will be able to use their Miis, which are customizable avatars that Wii U and 3DS owners set up upon purchasing the consoles. If players use a Mii character, they will be able to choose three different roles: brawler, swordfighter, and gunner. Each class will give the players a number of different unique attacks he or she can choose to give their Mii, making the character even more customizable. If that wasn’t enough, Nintendo also announced that players of the new Super Smash Bros. will be able to team up with or battle against amiibo figurines. These work in a while similar to Disney Infinity or Skylanders, where players must purchase physical copies of the characters and then import them into the game. Besides giving more information about Super Smash Bros., Nintendo also announced that a free-roam, open-world Zelda game is in the works, which will come out sometime next year. A new Mario game, called Mario Maker, is also being made. The game will allow players to create levels using all the same materials and pieces that were used in the original games. The rest of Nintendo’s E3 announcements can be seen on their website here. Super Smash Bros. will be out for the Nintendo 3DS on October 3rd, while the Wii U version will be available sometime during the holiday season.